Hello, I hope you are all enjoying a lovely weekend. 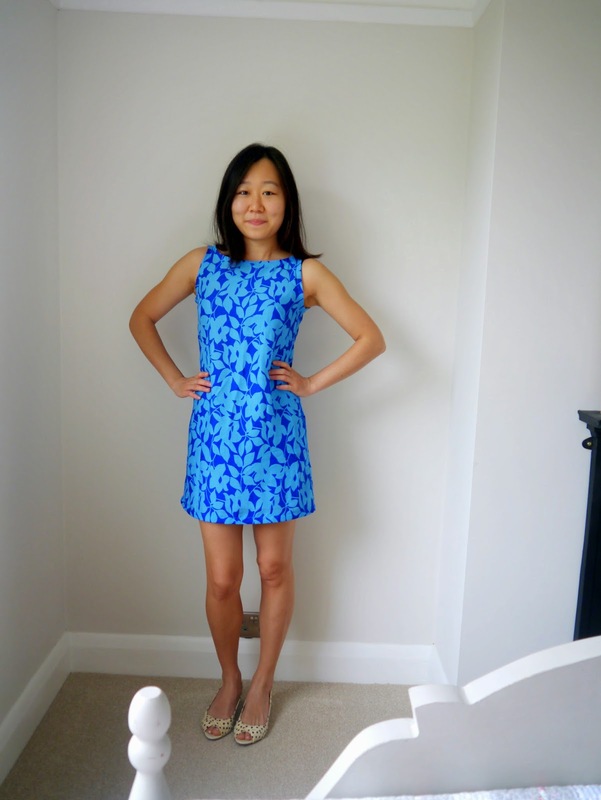 Today I have a simple summer dress to share with you, and it's my first make from the Burdastyle Vintage Modern book, which, shamefully, I have had since Christmas 2012. Don't get me wrong, I really do like the book, as well as the patterns that came with it, it's just I've never quite had the patience with tracing from overlapping lines and adding seam allowances with the patterns in the Burda Style magazine, and the same goes with the book. But finally, after looking through my stash for a 1960s simple shift dress with only diagonal darts with no luck, I suddenly remembered the Jamie dress, with its neat lines and square ish neckline. And as it's a straightforward construction, I decided to roll my sleeves up, and get on with it. Guess what? It wasn't all that bad, and it was worth the effort. Some of you might remember my Experiment Dress a while ago, and how the whole 60s look and I didn't see eye to eye (though I will have you known that I wore that dress on a recent trip to Dubai, and it worked quite well), so I took extra care this time to make the loose fitting style work for me this time, without having to add a thousand darts to define the waist and completely change the look. I first graded the size down to a 30, for a less baggy fit overall, and chopped the length by 3cm, as I think shift dresses look more fun, and less grandma like on me when they sit well above the knee. Then after about 20 minutes of tracing and adding seam allowances, I was ready to go. I used a lovely summery viscose (how I love the material) in a leafy blue print for its drape qualities. And overall I think it worked well. Unlike my last attempt with the 60s look, I am definitely getting the vibe from this little number. Although the fit is a loose one, after I took in 0.5cm on each side seam, I don't feel like I'm wearing a big potato sack, so that's something! Speaking of the fabric, I did have a tale to tell. I bought 2 metres at a market in Reading off a roll for a cheerful £1.50 per metre, but the condition for the purchase was that I must buy a "matching" fabric of the same quantity. WHAT?! It was confusing to know what "matching" meant, until I saw just the perfect fabric for it - a viscose in exactly the lighter shade of blue, the colour of those leaves! So I ended up buying 2 metres of that as well. Whilst I am completely over the moon with getting 2 lovely pieces of viscose, 4 metres in total, for a mere £6, to this date I am still perplexed about why I had to buy both. But I have to ask, has anyone else had the same experience before?! But you probably see where I'm going with this... As I have the perfect "matching" (or contrasting) fabric in my stash, I have been fighting hard against the urge to make a belt to go with it. The "let's just embrace the 60s vibe" side of me is currently winning, so I haven't bothered with a belt as yet. But what do you think? Should I make one as an optional accessory? This dress also have another great quality - although it has a zipper at the centre back, I'm able to get in and out of it without bothering with the zipper. It may not seem like a significant benefit to you, but as my plan is to use this pattern again with some lovely Indian silk charmeuse that I bought in Dubai (for about £3.50 per metre - are you jealous? ), the fewer seams the better. But let me caveat this before you try it at home -- it will all depend on how flexible your arms are! Whilst it might just about work for me, it may be a struggle for someone else so do make sure you measure it all out before taking my words for it that this can work as a pullover dress. As usually, I am always pleased to hear from you, so any views please share! And more importantly, if you have had a similar experience as me above, I NEED to know! GIVEAWAY by Alex Swift Designs!! Hello my dears, I hope you are all keeping well wherever you are. Here in the UK, we are having a rainy few days, and sadly there's not yet any real sign of summer. So how about a rainy day giveaway? I have got something truly special for you today. One of my dearest friends, Katy, with her just as super talented boyfriend, have recently started a new venture in their spare time (this is in addition to their full-time jobs!). This creative pair in London haven fallen in love with screen printing, and have designed and handmade some beautiful products. 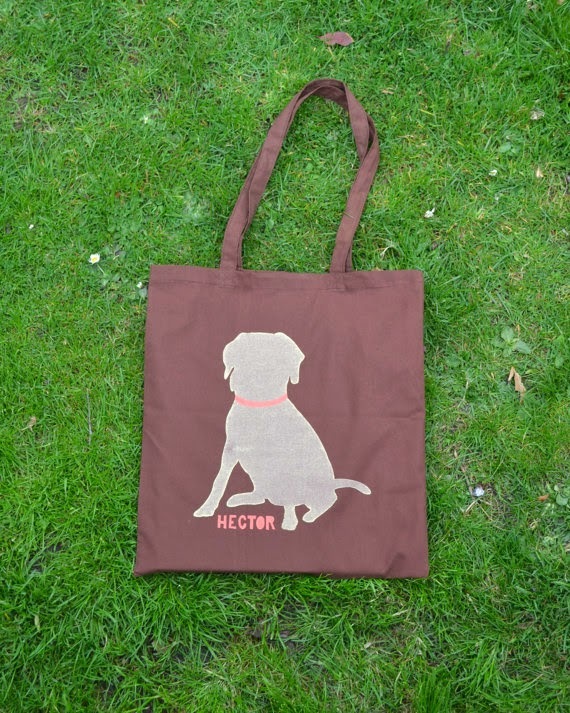 They have recently launched their first range, Hector, which features a sophisticated and handsome chocolate Labrador. Aren't these fabulous? 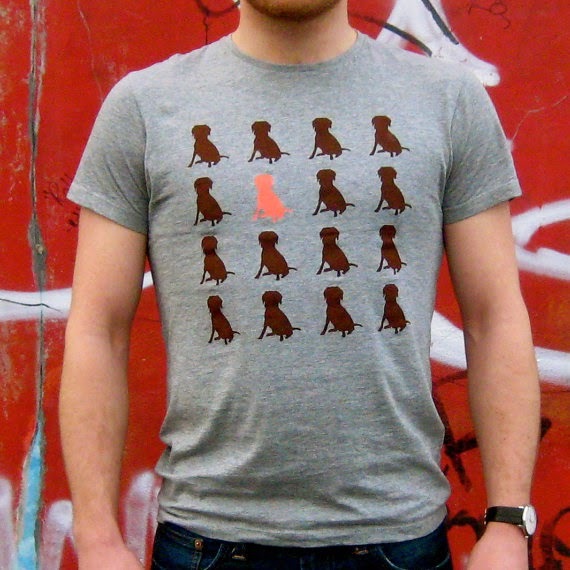 And remember, Hector is the first range by Alex Swift Designs, and with your support, this great independent shop will feel encouraged to design more and more diverse ranges, in addition to adding to the existing one. a greeting card of your choosing. 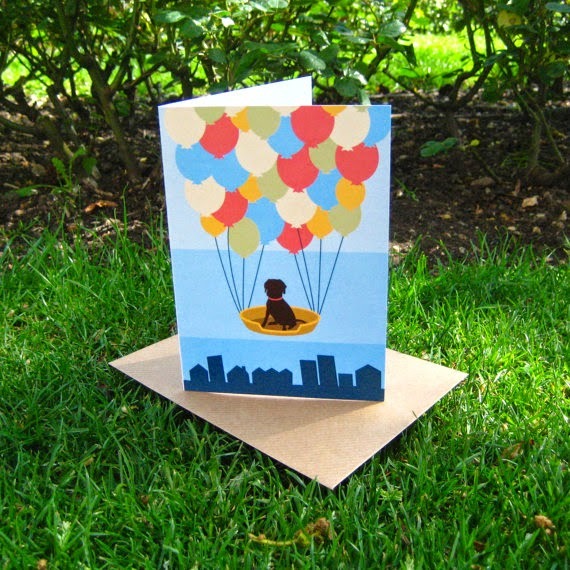 And if we get more than 30 entries, another winner will be chosen for a second greeting card. That's 3 winners altogether! 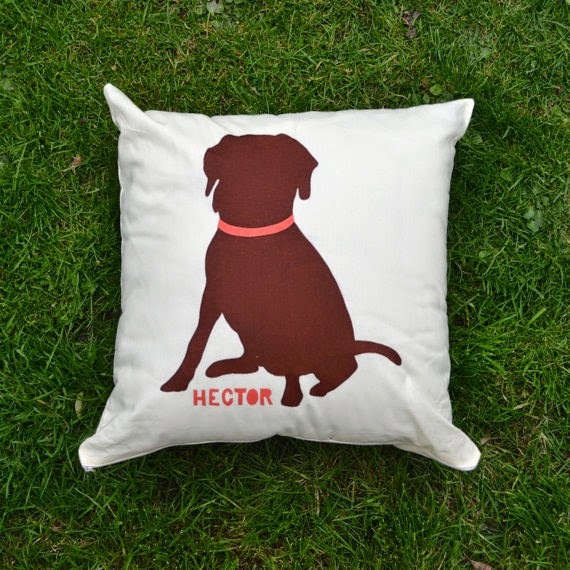 To enter, all you need to do is leave a comment here indicating which design is your favourite (eg Odd Hector Out, Striped Hector, Flying Hector etc), before midnight BST on Sunday 15th June. The even better news is, this giveaway is open to everyone ANYWHERE in the WORLD! When the giveaway closes, 2 or 3 winners will be chosen at random, and Katy and Alex will be in touch with you to arrange shipping. So don't be shy, my dear readers, enjoy the giveaway! So how about that for a rainy day cheering up? I for one could certainly do with some sun, as I have a bit of a backlog of projects to share with you - just waiting for some daylight to arrive for decent photos! But for now, do take advantage of this giveaway and have a good week!